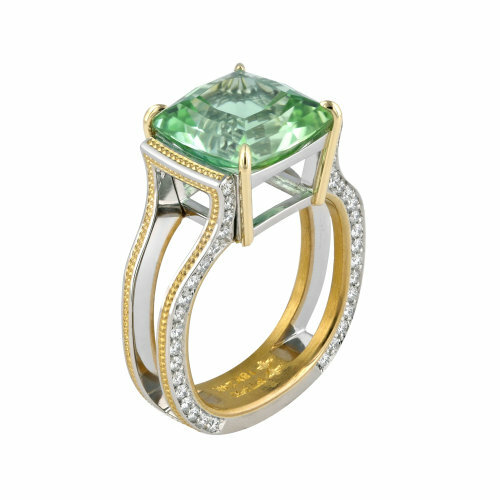 5.80 ct. Tiel colored Tourmaline set in Platinum ring with 24K Gold, accented by 72 round brilliant Diamonds. 5.80 ct. Tiel colored Tourmaline set in Platinum ring with 24K Gold shaped inlay and inner sleeve. Accented by 72 round brilliant Diamonds (DEF color/ Internally Flawless to VVS clarity) with a total weight of .58 ct.